I am here at the invitation of my long-time partners in Azerbaijan; we had productive meetings with their representatives. And, as an employee responsible for this region, I needed to study the market as a whole and come up with additional contacts. Here I saw many national stands of various foreign countries, and I really liked it. 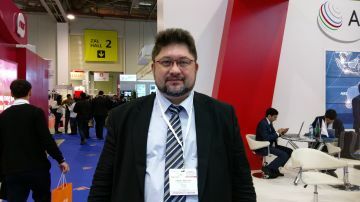 I often visit exhibitions around the world, and in general, the level of Bakutel’s organisation is really high! I am sure that such events have a positive effect on the development of business contacts. Perhaps we will meet again at future exhibitions but as participants.